Self-publishing in Boston, MA is now possible and profitable with the digital printing options that are available on the market. However, this venture can be overwhelming if you do not use the right products and services. Books should be reviewed before going to market. This is why it is important to send out bound galleys to book reviewers and bloggers. Investing in bound galleys for reviewers will increase your return on investment. These ARCs or advanced reader copies can now be printed in just a matter of hours will the illustrations and clarity in all texts. One of the perks of digital printing is to produce bound galleys quickly without jeopardizing quality. With service, independent authors can allot time to send out advanced copies of books to be read and reviewed. Digital printing bound galleys gives authors the time to prepare for the final copies that will be released with the printed reviews page. To find out more about digital book printing services, contact Country Press, Inc.
Self-publishing in Boston, MA is now more convenient for interested authors who want to be independent from traditional publishers. This avenue gives authors flexibility when producing bound galleys. They can make their own decisions regarding how many books to produce, cover design, font style and size, and layout, in order for the book to get good reviews. Digital book printing has provided advantages to authors who want to self-publish their own book. With no plates to set like with off-set printing, the printing process is faster and less expensive. It is easier and less expensive to print a limited number of copies because you can easily replenish the inventory when needed. For this reason, digital printing has become a common choice of many self-publishers who first want to test the waters before printing larger runs. And speaking of testing the waters, independent authors can also print advanced copies of their books without breaking the bank or jeopardizing quality because digital book printing makes producing bound galleys more convenient. Bound galleys are produced prior to printing the final copies. They are used for book reviewers, bloggers, and store owners in order to solicit reviews. Printing advanced copies can also be one way to test the marketability of your work, it is also a way to market them. The testimonials and recommendations from the book reviewers can then be printed within the final copies. These reviews can help put your books in the best light and can generate higher return on investment. Digital book printing has improved significantly in recent years. 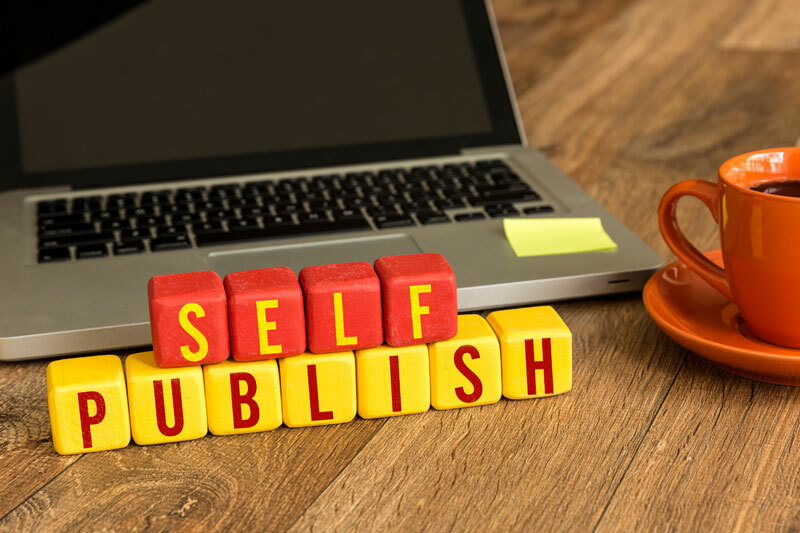 It now offers useful and affordable services that make self-publishing even more prosperous while making it easier to get started as an author. Self-publishing in Boston, MA has never been this convenient and cost-effective. With the low cost of self-publishing and with the growth of digital printing opportunities, more and more authors are jumping on the bandwagon and avoiding traditional publishing houses. Self-publishing allows interested author to bypass traditional publishers and change the face of publishing. This digital book publishing revolution makes it possible for a first-time author to be on the same footing as those who are well-known without the publisher having control of book distribution and profit. Self-publishing is an ideal alternative, especially when there are time and money constraints. With the advances in digital printing, you can get affordable rates without having to print large quantities of books in order to save on expenses. And because no printing plates are needed like in traditional off-set printing, the printing process is shortened so you can start selling your books faster. To find out more about self-publishing, contact Country Press, Inc. The ways to publish books has changed a great deal in the last decade thanks to digital book printing services in Massachusetts. Most would agree that such change has been for the better since more and more independent authors are able to self-publish their work without having it go through a large publishing house spending too much money to get books on the market. Self-publishing in Boston, MA has empowered authors in new and exciting ways. Digital printing allows for a faster production, and even reproduction of books without compromising the quality of each copy. As a result, the author is able to replenish stocks in bookshelves more quickly without needing to print a lot of extra copies just to save on expenses in every batch. Self-publishing has become lucrative with the help of digital book printing services. Because printers are automated through a computerized system, it is easier to make necessary edits to create a book that is worth the money. To find out more about digital book printing and self-publishing, contact Country Press, Inc. Traditional publishing has several pitfalls. For instance, the publishing house has the power over your book’s cover art and title. When the book needs editing, implementing changes can be difficult with traditional publishing. Additionally, authors often wait 6-18 months for the royalty rates that are usually between 5% to 25% in traditional publishing. These are some issues that self-publishing has put an end to. When self-publishing in Boston, MA, you can control the book cover as well as the selling price because every decision is yours to make. Publication is much faster which means you do not need to wait for months or a year to get your book to the market. Additionally, changes, such as adding reviews, can be implemented with ease and without being costly. Self-publishing your book also allows greater royalty rates. Because of digital book printing, you can self-publish without breaking the bank and without need to settling. With a wide array of options for customization, the cover can be enticing enough to make readers want to open the book immediately. Self-publishing in Boston, MA has many different perks, when you understand how to use all the right tools. Fortunately, digital printing is now more able to help you maximize these perks. Digital book printing lets you self-publish books more economically. Publishing and selling books on your own can be tough. It requires guts as well as resources, in addition to content that is worth reading. Self-publishing with digital book printing allows you to test the waters because you don't have to print a large number of copies before determining if the book will sell. With digital book printing, you can verify the marketability of your book by printing smaller quantities, and if it sells you can easily print more copies of it. The digital printing process lets you save a significant amount of money even when printing only a few copies because the set-up cost is much less expensive. Unlike off-set printing, there are no plates to prepare and many of the ways of traditional printing are eliminated in digital printing. Plus, authors can make modifications to the book before printing the final copies. This can be very advantageous if you want to make sure that this venture gives you a satisfactory return on investment. In the recent pastself-publishing in Boston, MA was a more labor-intensive and expensive process. There was a need to order a large number of books which meant higher initial printing expenses. That also entailed storage and storage fees. It was more challenging and urgent to find ways to get these self-published books into readers’ hands. Because the initial investment required the purchase of so many books, there was a larger risk of unsold books. But this is no longer the case. With digital printing, smaller initial runs are available and reprinting is much easier. Things started to change in the mid-1990’s when most self-publishers took advantage of the new digital technology. This is now widely known as print on demand or POD. This has allowed self-publishers to maximize their resources and has eliminated the necessity of high-volume print runs using traditional offset printers. Self-publishing has become a much more lucrative venture through POD. With this technology on the market, it is now possible for books to be produced in small runs to save on cost while still creating high-quality books. To find out more about self-publishing and print on demand services, contact Country Press, Inc.